Benjamin Franklin is the founding father who winks at us - an ambitious urban entrepreneur who rose up the social ladder, from leather-aproned shopkeeper to dining with kings. In best-selling author Walter Isaacson's vivid and witty full-scale biography, we discover why Franklin turns to us from history's stage with eyes that twinkle from behind his new-fangled spectacles. In Benjamin Franklin, Isaacson shows how Franklin defines both his own time and ours. The most interesting thing that Franklin invented, and continually reinvented, was himself. America's first great publicist, he was consciously trying to create a new American archetype. In the process, he carefully crafted his own persona, portrayed it in public, and polished it for posterity. His guiding principle was a "dislike of everything that tended to debase the spirit of the common people". Few of his fellow founders felt this comfort with democracy so fully, and none so intuitively. In this colorful and intimate narrative, Isaacson provides the full sweep of Franklin's amazing life, from his days as a runaway printer to his triumphs as a statesman, scientist, and Founding Father. He chronicles Franklin's tumultuous relationship with his illegitimate son and grandson, his practical marriage, and his flirtations with the ladies of Paris. He also shows how Franklin helped to create the American character and why he has a particular resonance in the 21st century. 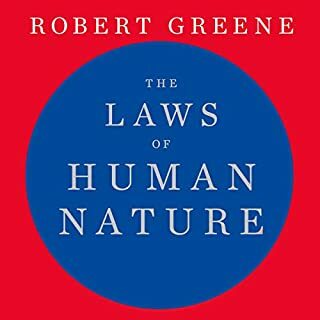 This was a great book. Isaacson is an amazing biographer. I because suite interested in American history during listening to this. The only downside is the narrator. Terrible voice chosen for reading narrating a 26 hour aduibook. Just felt the accent and the way he spoke was quite annoying to me. Would definitely recommend if you're interested in learning about an incredibly important individual who contributed greatly to humanity. Published in 2003 this biography gilds the lily about Franklin. I am definitely a fan of Franklin, although not the writing style of Isaacson. Like a lot of American writers he could use one word where he uses two. He talks about the American Dream, but this is a rather old fashioned concept, especially in the time of Trump. I completed the book, but it was hard work. Too much is made of the US, especially when one considers the Founding Fathers dream is collapsing under its own lost vision. Slavery has been replaced by the huge prison population, murders and the lack of a social security safety network; I suspect Franklin would agree if he was alive today. There is so much to enjoy about this amazing, detailed and brilliant book about the life of this complex character. It’s my first read of Walter Isaacson and it has left a great impression as sparkles with wit, irony and understanding which has given me a greater sense of America as a whole as well as the values which have shaped this powerful country. Highly recommended to anyone who likes biographical works of substance. Interesting & practical - like Franklin. Similar to Franklin's autobiography, this is inspiring and useful as a guide for me making my way in this world. However, it is much more expansive and provides a much broader context of his life, and the impact he had on America. Fascinating. Enlightening. Compelling. Well worth the time. He invented bi-focal glasses - who would have thunk it! It is a very thorough account of Franklins life and contributions to the world. I was looking for an overview of his influence through invention and politics. This production covers those points in detail. It is amazing how many letters were recovered from events that took place over 300 years ago that were used as content. There was too much time spent on his personal relationships for my liking, but I guess that is detail others may be seeking. I now understand more about Ben Franklin and why many people admire his accomplishments. 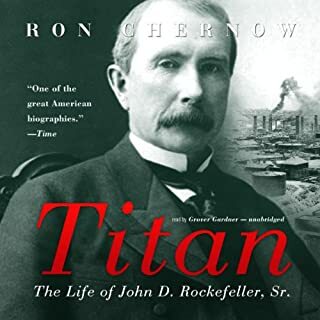 This was a very good biography, which is something I've come to pleasingly expect when I start a Walter Isaacson work. My knowledge of Benjamin Franklin was limited to the near caricature of him taught in school back in my day, along with little bits and pieces from various documentaries I've watched during my adult life. I had no feeling for who the real person was behind the historical figure. Now, I believe I do, somewhat. Which, in itself reflects a good review of this book. Without going into too much of a summary of Benjamin Franklin himself, I think it's worth noting the light that the book shines on him. Ben Franklin was a practical man. A man who, when he saw a need, tried to find a practical solution to address that need. Whether it be protecting a house from bolts of lightning with his lightning rod, to helping design a constitution for a fledgling country whose states were in dire need of it. He believed in the middle class, and believed that excessive wealth, luxury, idleness and inheritable elitism was the root of much of the corruption in England at the time. He was a man who believed in religious tolerance, like many of the founding fathers, because religious dogma could be divisive, and not conducive democratic public discourse. He was a man who understood compromise and the need for it in a true democracy. Personally, he had vices like anyone else. He tended to enjoy spending time with his friends abroad better than his family back home. He often enjoyed the company various women throughout his life, to the dismay of some of his more puritanical political opponents. Contrary to many of his "Poor Richard" aphorisms, in his later years Franklin enjoyed late evenings with friends, wine, and chess. In the end, the book leaves you with the feeling that you may have known person behind the image a bit. He was a remarkable person, and this book is an excellent read for anyone interested in Benjamin Franklin, the man, and the historical figure. Yes, if they are interested in learning about the founding fathers and in the life of scientists. What other book might you compare Benjamin Franklin: An American Life to and why? Washington: A Life. They are comprehensive biographies that portray their subjects as actual humans, with virtues and flaws, and make you feel close to them, their way of thinking, and how they became great historic icons. While his tone and articulation were very good, I cannot say the same about the frequent "mouth" sounds throughout the narration. You can hear him stopping to drink water, swallowing, and making other sounds that are distracting, annoying, and a little disgusting. I know that your mouth can become dry from narrating such a long book, but I have listened to the George Washington biography, Herman Wouk's Winds of War, and other equally long books, without these "sound effects". I think the narrator was good, but the sound production team could have worked better at filtering the sounds. Great read. Some areas disjointed, but solid bio. Isaacson does a great job defining and realizing the character of Benjamin Franklin. You know him. You know him to the point where the last few chapters become predictive. Not the writing. But the last few chapters of Franklin's life. Perhaps most astonishing is the way sheer mass of Franklin's legacy. 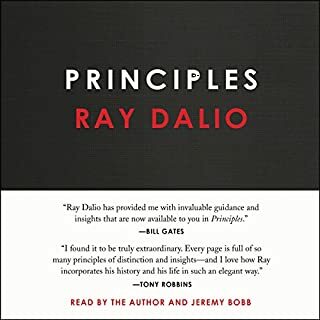 It's written on the parchment of America's story in so many ways defining culture, government, philosophy, arts, finance, and even the sense of a self-deprecating comedic undertones to American Life. Runger's reading was spot on. Especially the "character" voices he would use to go in and out of quoted text. While the folksy narrating did grow on me and I came to understand it's rationale after listening to more of the story of Franklin's persona as a folksy scientist philosopher, I found the narrating at times distracting. That being said, the importance of the full scope of Franklin's life and the fascinating course that it charted through the colonial to revolutionary period in the nascent United States and the seeds of change in Europe that he either sowed or witnessed, make his story one worth knowing. The story makes some excuses for his cold dismissal (and possible neglect) of his family and it is here, with those serious and grave topics that the folksy narration draws too stark a contrast between narration and content. The narrator must really love his peanut butter. If you are sensitive to disgusting mouth sounds, this book is not for you. 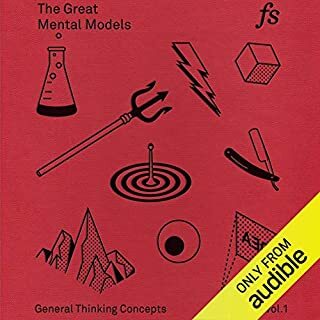 The Audible-page sample audio is pretty clean and not so ? ?representative of the mind-numbing 24-plus hours. If you listen in the car or another noisy environment, you will be fine. Otherwise, be warned.?? 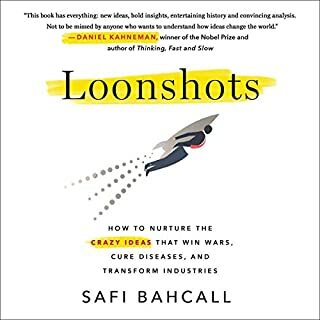 I got this book after reading two other biographies from Walter Isaacson: Jobs and Einstein. Both were fantastic, this one joins the list. 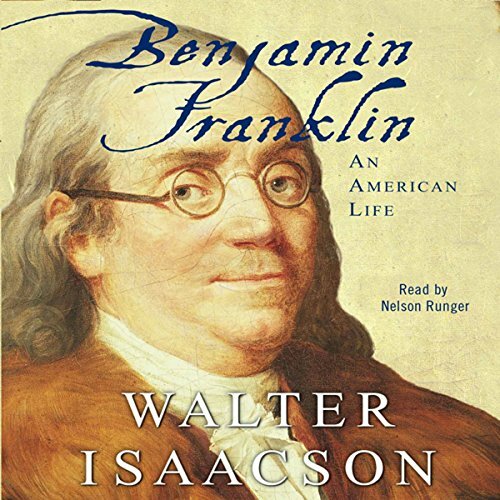 I enjoyed this audiobook thoroughly - it provides a wonderful combination of history, personal details about Benjamin Franklin and his personality, and valuable things we can learn from his life. 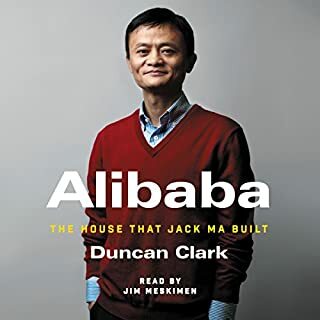 For an audiobook this long, like with the other biographies, it is amazing how interesting they are. 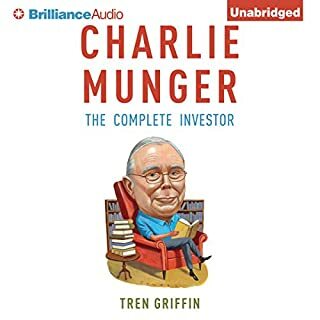 I listen to audiobooks while driving, and I caught myself wishing my commute was just a little longer to listen to a bit more. I would recommend this book to anyone who has never heard another narrator before, or someone who is so interested in the life of Benjamin Franklin that they are willing to put up with the narrator's annoying "impersonations." What was one of the most memorable moments of Benjamin Franklin: An American Life? 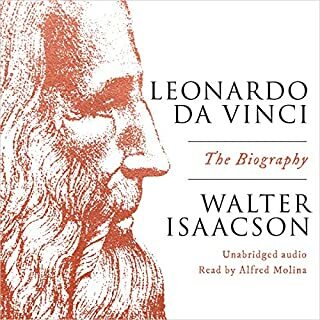 Walter Isaacson is on par with the greatest biographers of all time, of course that is just my humble opinion. The entire plot of the book is memorable. There are things that at points you wonder, why do I need to know this minute detail, but then it comes up a few minutes later and you realize why Mr. Isaacson inserted such a detail. What didn’t you like about Nelson Runger’s performance? Runger has a habit of trying too hard to sound like the person who he is portraying. For example, if he is narrating a letter by Mrs. Franklin, he will use a very shrill voice to try to imitate her, which is very annoying since he already has a very shrill voice himself. Then when he is narrating a letter by one of the Mathers or a proprietor or a member of parliament, he deepens his voice and begins to sound more like a cartoon character. By him doing this, it takes away from the book and the pleasure of listening to such a great story. If you have listened to a narration by Edward Hermann, then you will be disappointed by this narrator. Sorry to be blunt. When Benjamin Franklin was in the "Cockpit;" oh to be a fly on one of those walls and to have been able to witness his silent protest. 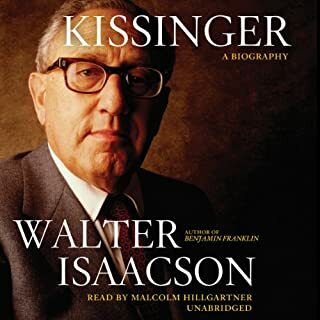 I believe Walter Isaacson to be one of the greatest biographers, but I think anyone who listens to this particular audiobook will agree that Mr. Runger is nowhere near the caliber of narrator for such a great book. 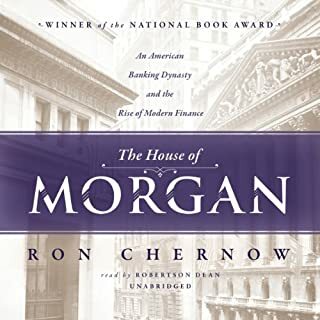 If Mr. Isaacson had done anything less than a stupendous job with this book, I would have given up listening to Mr. Runger before Benjamin Franklin ran away from his brother's shop. Walter Isaacson is a master of biography. Whether an historic subject or contemporary, he makes the individual come alive with all the traits and foibles of the subject. I have read biographies of Franklin but this one is so enjoyable that it was a delight to learn about this founding father again--and maybe even remember it this time since it was so well done. I not only learned the facts about Franklin, I got a real feel of the man. I would recommend the book to anyone interested in history and the life of a great man. The reader was great but I heard him swallow about 100 times and smack his lips. Why wasn't that edited out? It was very distracting and effected my enjoyment of the otherwise good material. Loved the book! Walter Isaacson is thorough and balanced. Great history lesson as Benjamin Franklin was a big player in a the American Revolution. The reader was good, most voices done well, but his Ben Franklin voice is annoying through the whole book. The sound editing is not good and you often hear the reader swallowing and other saliva noises. After 24 hours of these noises, you start to get annoyed. 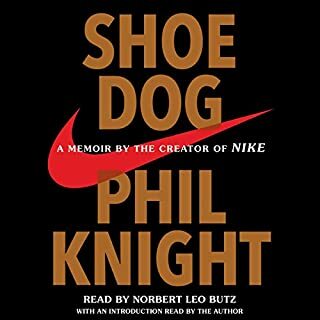 This was recommended by a friend who read the book, and I was not disappointed by the audio version. I knew next to nothing about Franklin and little about the American process of independence and I found this biography really interesting about both the man and his time. It was a compelling listen and fascinating. Now I'd like to find a biography of his wife, who must have been an extraordinary woman in her own right! Highly recommended. I knew that Franklin was important in the formulation of the American Constitution and that he played a part in the understanding of electricity, but had not realized how impressive were his other scientific investigations nor how influential he was in international negotiations over independence from Britain. His life from humble beginnings to world fame is an inspiring story of self-education and hard work coupled with an admirable tolerance to all religious creeds and a playful sense of humour. 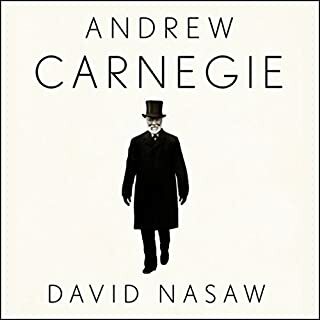 The book is an engaging listen as his far from perfect personal life and extraordinary public one are interwoven with the domestic concerns and important moments in history. The reader has just the right amount of folksy charm to narrate this fascinating biography. This was my first interaction with a book about Benjamin Franklin that I found captured the great man's life and presented it in such a way that captures even the most casual readers interest in American history and of scientific research and his quick with made it even more enjoyable. 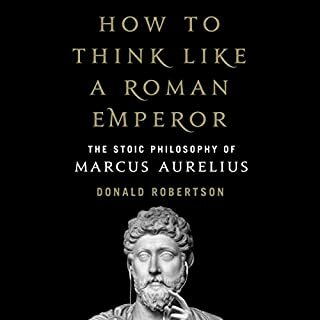 I would and have recommended this book to numerous people who don't know where to start in reading about him. Even though his own biography is quite the read I find this book quite engaging and evenly spaced. The wonderful, witty and warming story of one of America's founding fathers, written in a style Franklin himself would have been proud of. Franklin, who in the past sometimes been portrayed with caricature-like simplicity, is given the depth he deserves by Isaacson. The book covers the breadth of his life, with just the right amount of detail. You can afford to listen to it at 1.25% speed as the original is very slow. 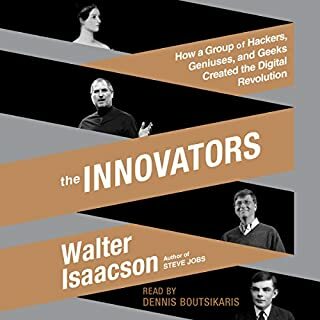 Walter Isaacson's a great writer, grounded in solid research. Covers his time as a postmaster, politician and a zillion other professions that Ben Franklin took over his long and industrious career. It humanises him and covers his virtues and flaws especially his ability to utilising silence as a tool in negotiations and his understanding of the power of compromise. He had a deep curiosity which fuelled home brew wit shaped the american identity. The author is clearly a fan of Franklin and this leads him to gloss over all his faults and overly praise any achievement. A balanced and in depth description for his life. 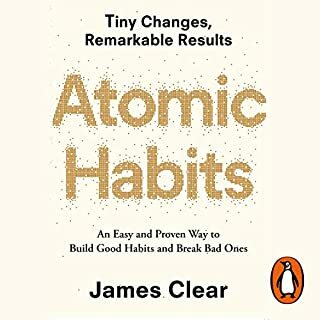 Despite the odd touches of American sensationalism, this is an excellent and clear book. While listening to more Benjamin I had lots of "ah ha" moments and understanding aspects of our modern world are certainly enriched by understanding his life. 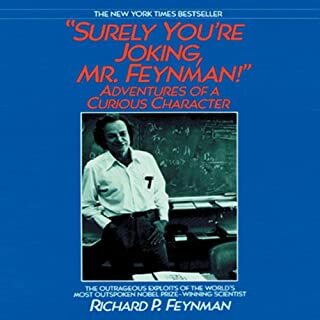 For those seeking to understand Benjamin's practicality this book will provide a humorous and accurate of a great, and reassuringly, occasionally flawed, man. 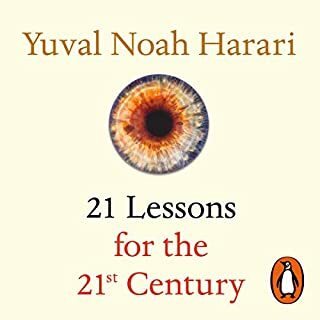 Interesting and in depth but I sometimes felt myself zoning out. I would have preferred a slightly more concise version but then again maybe that would be doing Franklin an injustice. 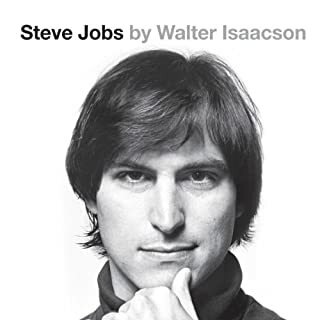 Overall worth the time commitment but I preferred Isaacsons biography of Steve Jobs.